Livestock producers should consider growing an arable silage and grass mixture to boost forage this summer and autumn, according to DLF Seeds. Following last year’s wet autumn, many farmers did not manage to reseed poor leys – and the cold, wet spring has compounded the problem, leaving many producers extremely short of fresh and conserved grass, explains technical business manager Nick Duggan. In addition, grass growth remains well behind last year, with AHDB recording daily growth rates of 39.17kg dry matter per hectare in the week to 13 April, against 64.7kg/ha at the same time last year. “However, reseeding a long-term grass ley now will not produce sufficient forage in the short-term, whereas sowing an arable silage crop – like a pea and barley mix - offers a cost-effective way of producing high quality additional feed,” explains Mr Duggan. The arable silage should be ready for harvesting 14-16 weeks from establishment, yielding around 8t/ha dry matter. 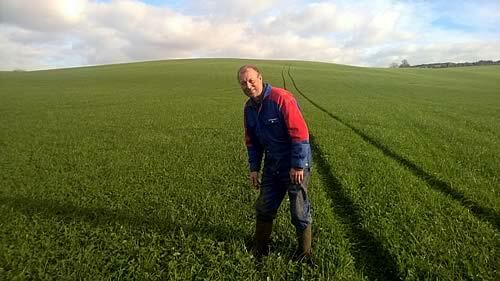 The under-sown grass can then be left to establish further before grazing after 4-5 weeks or mowing at 7-8 weeks.